Learn how to sell your Franklin Mint silver collections from the privacy of your home. If you are looking to sell your entire collection fast and without the hassle of consignment or eBay selling, you have found the right place. 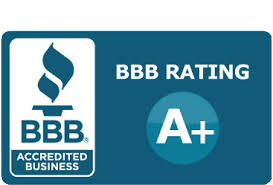 We are the top Franklin Mint silver buyer on the Internet. 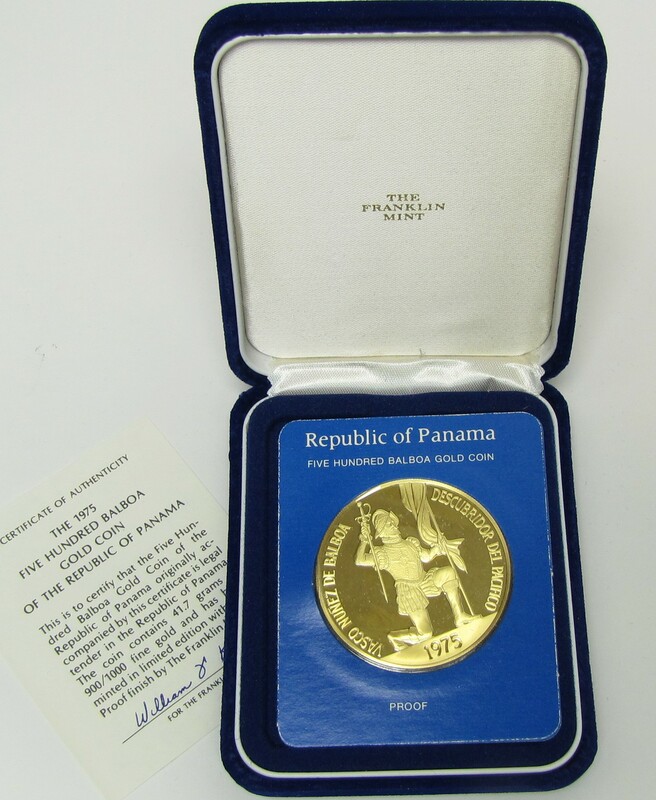 We buy Franklin Mint silver and gold coins as well as Franklin Mint Medal Collections, sterling silver plate, Franklin Mint gold coins and other Franklin Mint silver without the delay of consignment and hassle of eBay - and for a fair price. 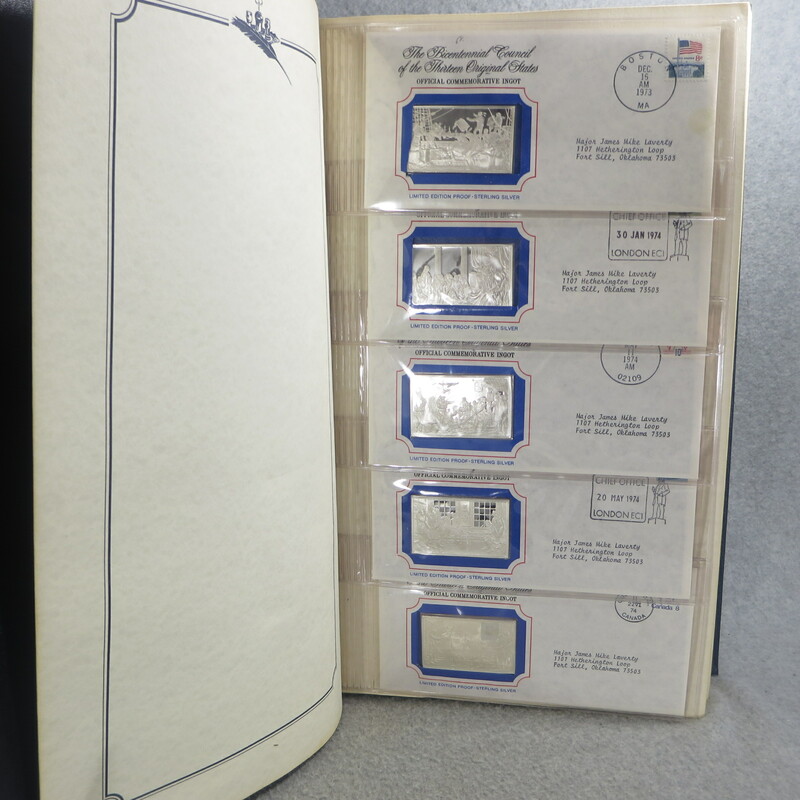 NOTE - we buy PARTIAL SETS as well as COMPLETE SETS of Franklin Mint Silver. We see a strong demand for most silver collections - complete or partial - we are buyers. 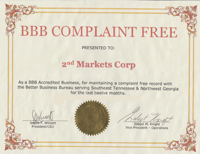 We do not buy BRONZE or PEWTER collections. We do not buy BRONZE nor PEWTER sets. We only buy FRANKLIN MINT SILVER and GOLD items. We do not buy the cars, eggs, chess sets, porcelain plates and the other stuff they issued. One of our favorite Franklin Mint sets is The 100 Greatest Masterpieces Collection of 100 medals. If you have this set, let us know! 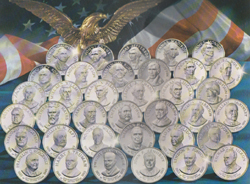 Sterling Silver Franklin Mint Presidential medals are much in demand and always wanted to buy, new or used condition. 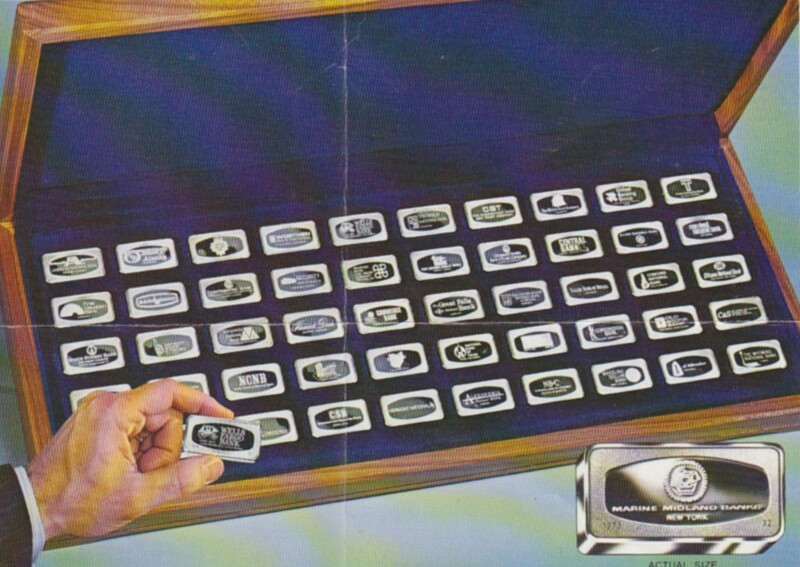 We buy Franklin Mint Bankmarked Ingot sets in any quantity. 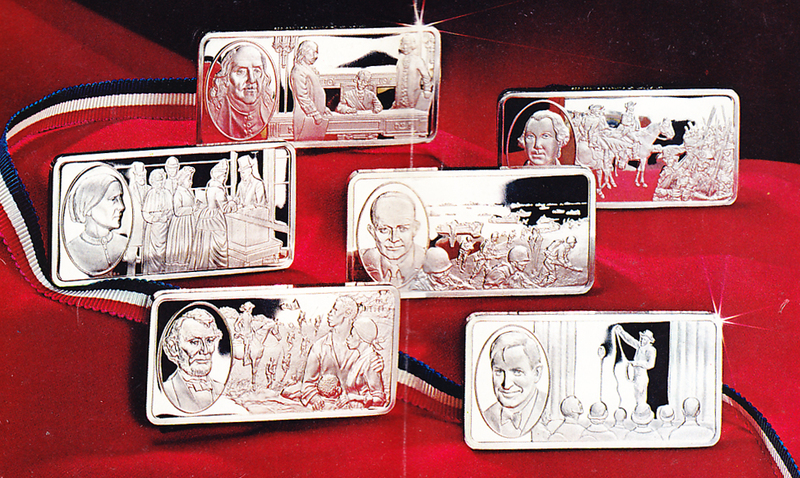 We buy partial or complete sets of the Franklin Mint 13 State Bicentennial Ingot Collection. We buy the Franklin Mint 100 Greatest Americans colelction, in any condition, in any quantity. 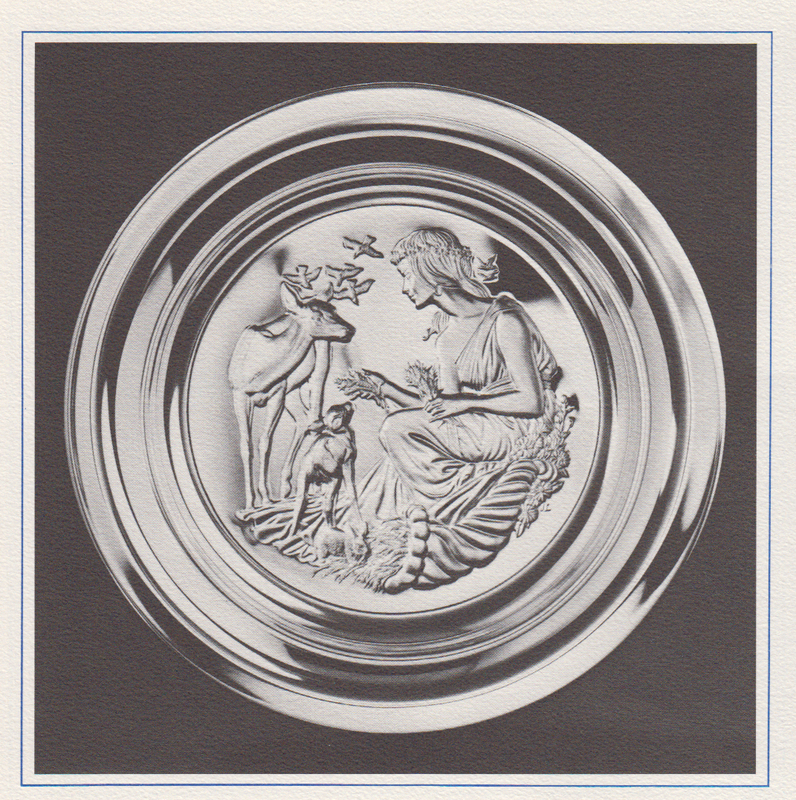 We buy ANY Franklin Mint Sterling Silver Plate in any quantity. 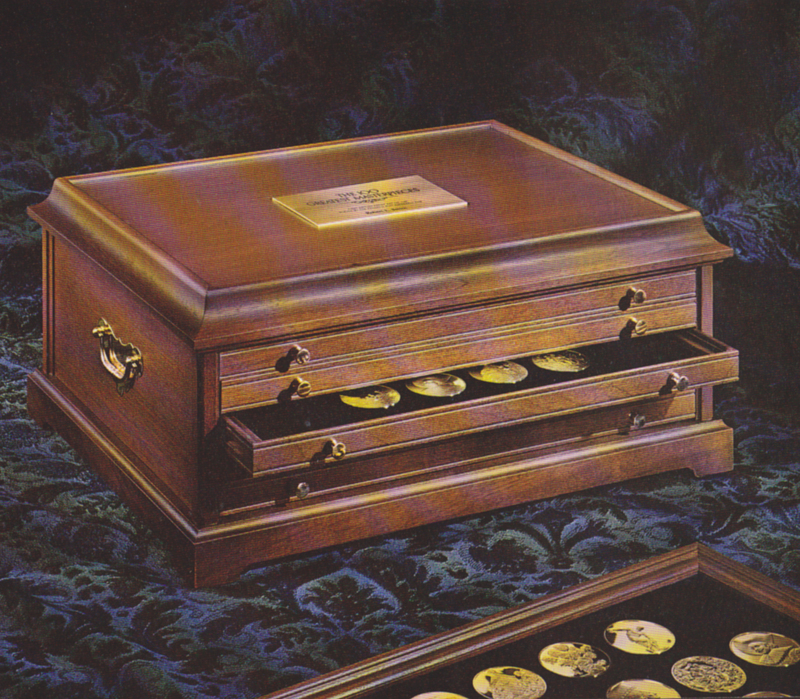 The Franklin Mint was the official Mint for many small nations, issuing both gold and silver coins of the Realm. We buy them all.